MCR20 CMM Change Rack - CMM Inc. 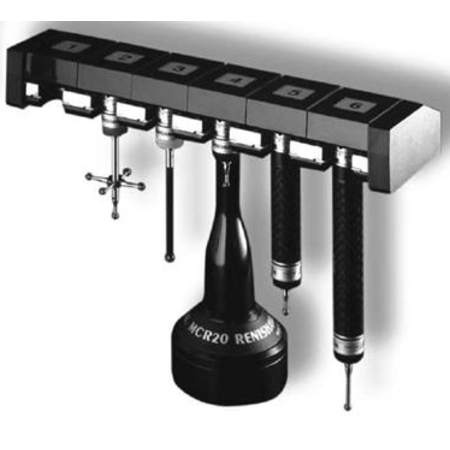 The MCR20 is designed to securely store up to six TP20 probe modules and to protect them from airborne contaminants. The rack function is completely passive and does not require any electrical connections. Installation and set-up of the system is stress-free and no special software or communications are required.